Donald insists he didn’t do it and pleads to his friends to clear his name. 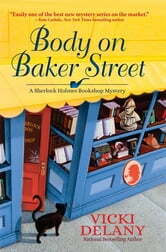 Fortunately, Gemma and Jayne have no shortage of suspects between author’s bullied personal assistant, her frustrated publicist, the hapless publisher, a handsome rare book dealer, an obsessively rabid fan, and a world of other Sherlock enthusiasts with strong objections to Renalta’s depiction of the Great Detective. 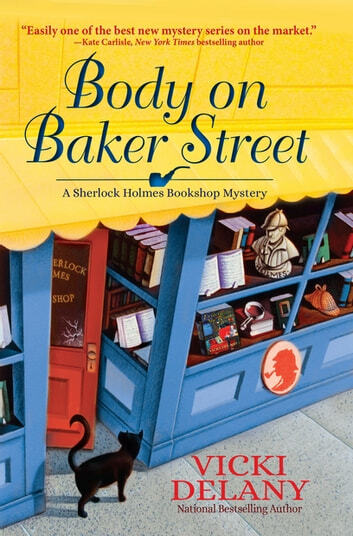 It’s up to the shrewd sleuthing duo to eliminate the impossible and deduce the truth before the West London police arrest an innocent man in Body on Baker Street, the second Sherlock Homes Bookshop mystery perfect for fans of Miranda James and Kate Carlisle.